Chelsea Selinger climbing Palmer's Walk (5.9+). As a west facing crag, the area receives its sunshine in the afternoon. Pockets of trees ensure that there are always slivers of shade before the early evening when the summer sun begins to descend. Peter Smith on Cracks to the Tomb (5.10d). If you like the Smoke Bluffs in Squamish, you'll love The Hen House. 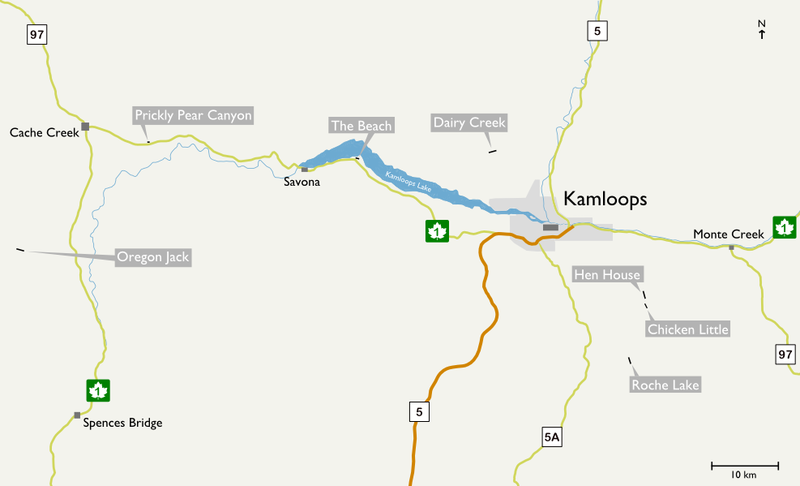 Granite cracks and slabs are found in a quiet forest setting 40 minutes east of Kamloops. Andrea Smith on The Voices Told Me (5.9). With its north face and pleasant lake view, The Beach can be a peaceful and comfortable oasis during hot summer days. The sun eventually reaches the rock face but not until later in the evening which also makes it an ideal place for after work climbing. 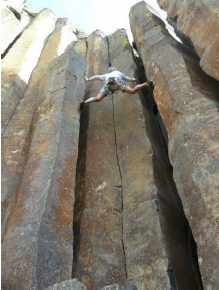 Ken Attwood on Testicular Fortitude (5.12). 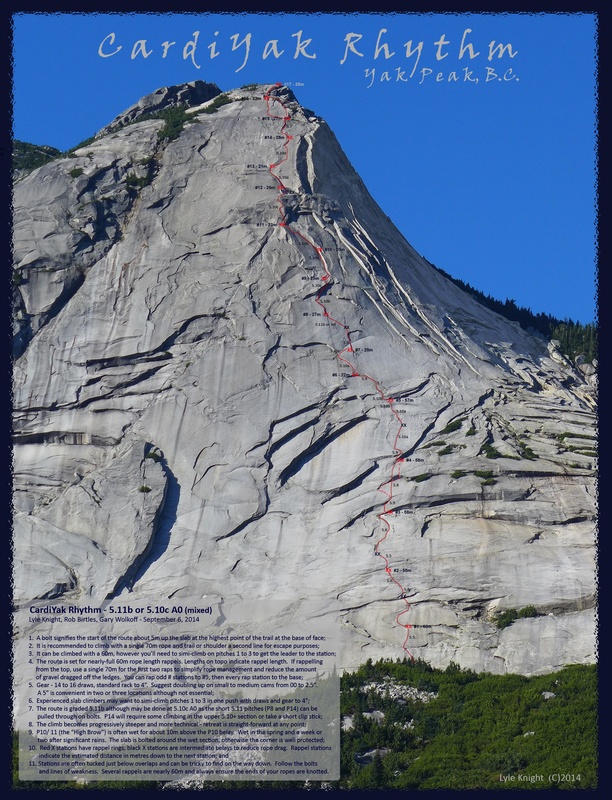 The Hen House has seventeen single pitch routes up to 40m in length. 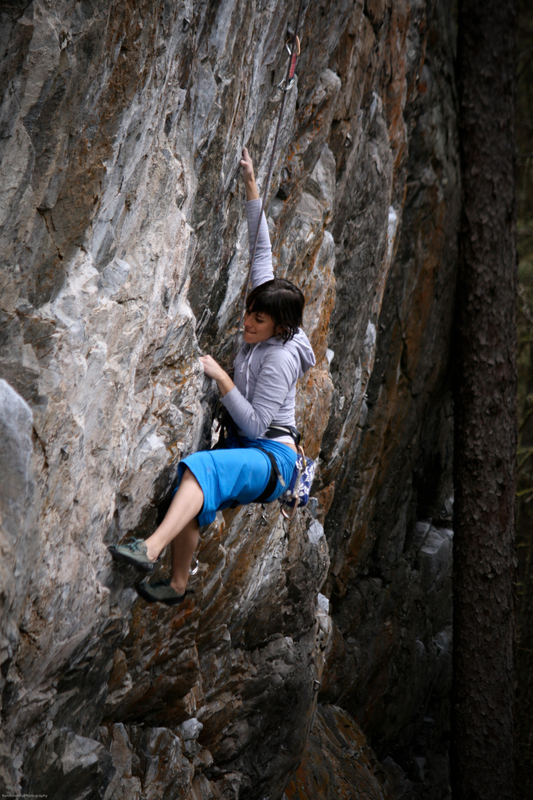 The CLIMBKamloops guide book covers all climbing in the Kamloops area and is available as a free download. 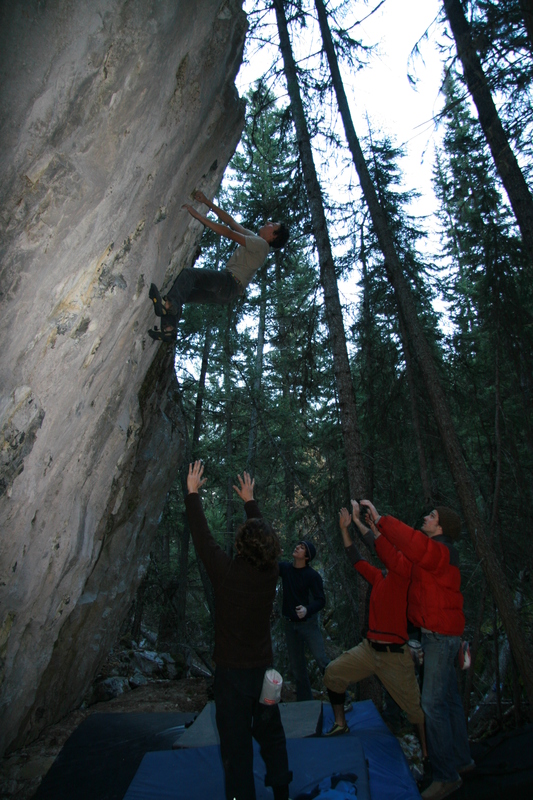 The Kamloops Climbing Access Fund aims to support activities that encourage and promote safe and sustainable rock climbing in, and around, the Kamloops, British Columbia area.